Veterans' children have long been recognized to have birth defects and diseases resulting from their parents' exposure to Agent Orange. Currently, the Department of Veterans Affairs (VA) recognizes many such conditions in the children of female veterans, but the list for male veterans' children is significantly shorter. It includes only spina bifida, with the exception of spina bifida occulta. What a lot of veterans and Veterans Service Officers (VSO) don't know, though, is that Agent Orange exposure has also caused numerous, serious birth defects in exposed male veterans' children besides spina bifida, according to Children of Vietnam Veterans Health Alliance (COVVHA). The list includes Crohn's disease, Lupus, thyroid disease, chronic kidney disease, missing limb parts and webbed toes. According to COVVHA, the list is much larger than this and with new research continues to expand. 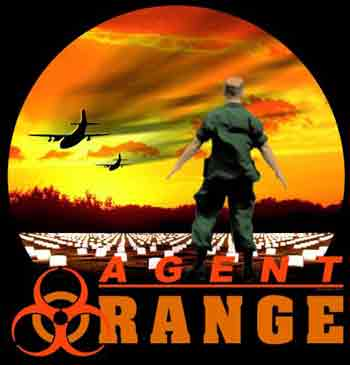 The Agent Orange Act of 1991 went into effect for the purpose of researching the diseases and birth defects found in exposed veterans' children, to find out what they were and to add them to the list of VA-covered conditions. The act began a review of conditions in 1994 and was originally scheduled to run until 2001, but was later extended to October 1, 2014. Every few years, more conditions are being added to the VA's list. On October 1, 2014, the last review took place, so any conditions not included in this report will probably be left out of the VA's list for good, unless more legislation comes into play. It is likely we will not see this last report, which covers the data from 2012, 2013, 2014, and 2015. If you are a child of an exposed veteran, you are encouraged to file a claim with the VA so that your voice can start being heard. You will need to provide the years your father or mother was in Vietnam and his/her social security number. If your father/mother has passed away and his/her death was linked to Agent Orange exposure, make sure you state that information for the record. Call 1-800-827-1000 to contact a VA facility near you. Sandy Hatchett is a contributing USVCP writer.